Here it is, the thrilling conclusion to yet another series of episodic games that failed to impress from the get-go. That’s not to say that the Carmen Sandiego Adventures in Math series was a complete let-down, but a few crucial flaws detracted from the package as a whole and really held the entire series back. What could have been a truly great revival for a forgotten classic ended up falling flat on its back. With that being said, Carmen Sandiego Adventures in Math: The Island of Diamonds wraps up the entire flawed package quite nicely. 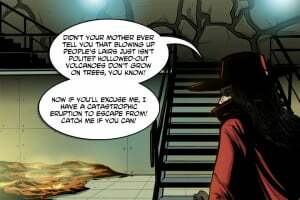 As the conclusion to a series of games that have already been released, The Island of Diamonds doesn’t have much in terms of an original plot. 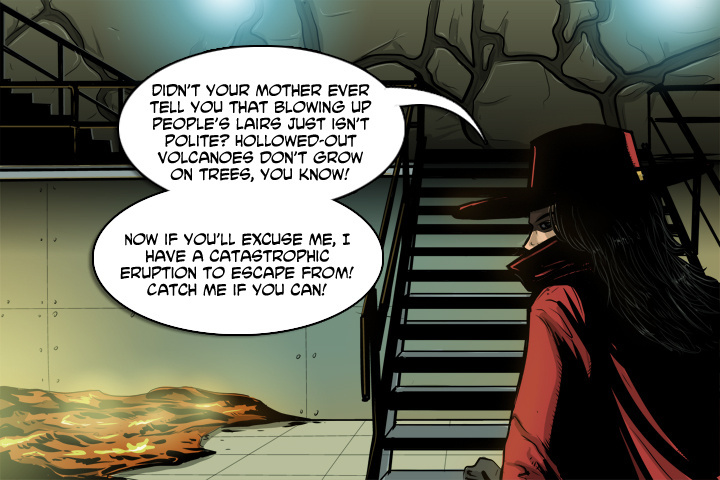 Having already stolen four of the world’s greatest treasures with the help of her henchmen, the devious Carmen Sandiego has reached the end of the line: you must infiltrate Carmen Sandiego’s secret island and stop her from committing further heinous acts of burglary and send the scoundrel off to prison. Short, sweet, and straight to the point. The gameplay is simple and hasn’t deviated from the rest of the series in the slightest. You control your character by pointing the Wii Remote at your television and pressing the A button to make him or her walk from one side of the static environment to the other. You can also interact with other non-player characters who spout absurd and witty dialogue at you: they mostly just speak nonsense, but every now and again they give up an important clue that will help you solve a puzzle, so paying attention to the dialogue can be advantageous. The real heart of the gameplay lies is the math puzzles that you’ll find scattered throughout the environments. Some of the puzzles will be given to you to solve by non-playable characters, some will appear as locks on doors and still others will just be thrown at you when you enter a new room. While these puzzles are what the entire game is based around, their lack of variety and ease of completion is a bit of a disappointment. The math puzzles are geared towards children who are still in elementary school, so older players might be a bit disappointed by the lack of depth or variety. If you are having a bit of trouble with any of the puzzles, hint coins can be found hidden in the environments, and cashing these in will afford you a little extra help with the puzzles. If you’ve ever played any of the Professor Layton games for the Nintendo DS family of consoles, then you’ll already be familiar with this system. The biggest problem that this game faces is the same that has plagued the entire series: it’s just too short. 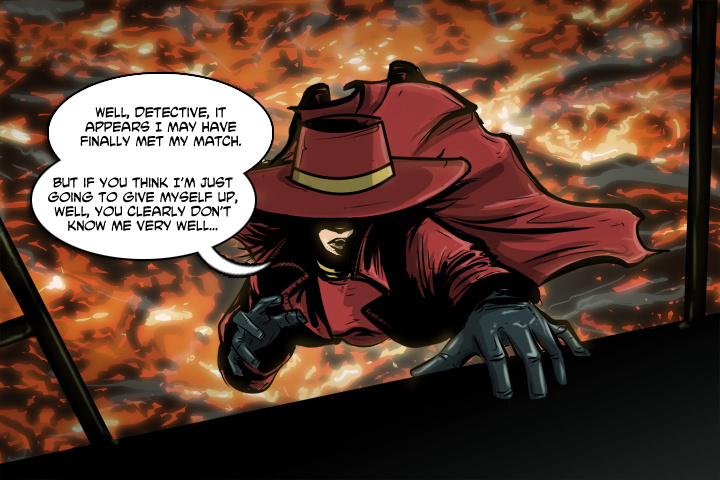 Some gamers may fondly remember the old PC and Apple II Carmen Sandiego games that provided endless amounts of variety and ever-changing outcomes, but sadly this is no longer the case. With each playthrough, the puzzles remain exactly the same and the conclusion never differs. Even if you play through only once, you’ll have seen everything that The Island of Diamonds has to offer. As is usually the case with episodic gaming, the audio and visual appeal hasn’t changed from previous entries, and that’s not necessarily a bad thing. 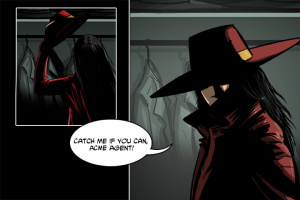 The graphics seamlessly blend detailed backgrounds with smoothly animated characters, not unlike the work of comics legend Hergé, and the visual style keeps in touch with the light-hearted writing style that the Carmen Sandiego series is so well known for. While the music is a bit repetitive and can become grating after too long, it keeps up with the effervescent feel of the graphics and fits the mood of the game to a tee. The only other feature that The Island of Diamonds has going for it that might offer a minute of replayability is the multiplayer option, but even this is a disappointment. The only content offered in multiplayer is the ability to replay puzzles that you’ve solved in the campaign, except now you can play timed versions of the same puzzles against your friends. Unless you and your friends are really competitive and really, really like math, you probably won’t end up using this feature more than once. 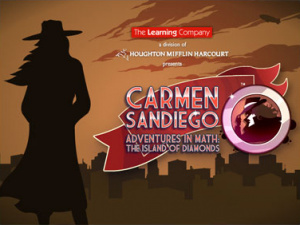 If you’re looking for an exciting and new gaming experience, then you’re going to be severely disappointed in Carmen Sandiego Adventures in Math: The Island of Diamonds. 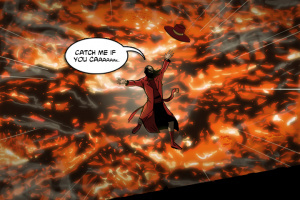 If instead you’re one of the die-hard fans who have stuck with this series since the very beginning and are just pining for a conclusion, then you’ve found exactly what you’re looking for. The Island of Diamonds isn’t going to win any new gamers, but it’s a fitting conclusion to a series that tried its hardest and ended up falling just short. Nice review. I forgot this one was released, I'll pick it up soon. @Wildvine53 Thanks so much. Always nice to see when someone appreciates the work we do. I'm also glad to see that you're enjoying this series. It has a whole lot of charm, just not a lot of substance. @Besen Your welcome, I always look forward to reading the reviews here. This series appeals to the part of me that put countless hours into the original Macintosh game. They may not be the best games, but I really like them. Plus it's gotten my brother interested in math, so I can't help but download them. At least there's a nice Aladdin reference in the tagline. @BulbasaurusRex Completely unintentional, but still awesome.